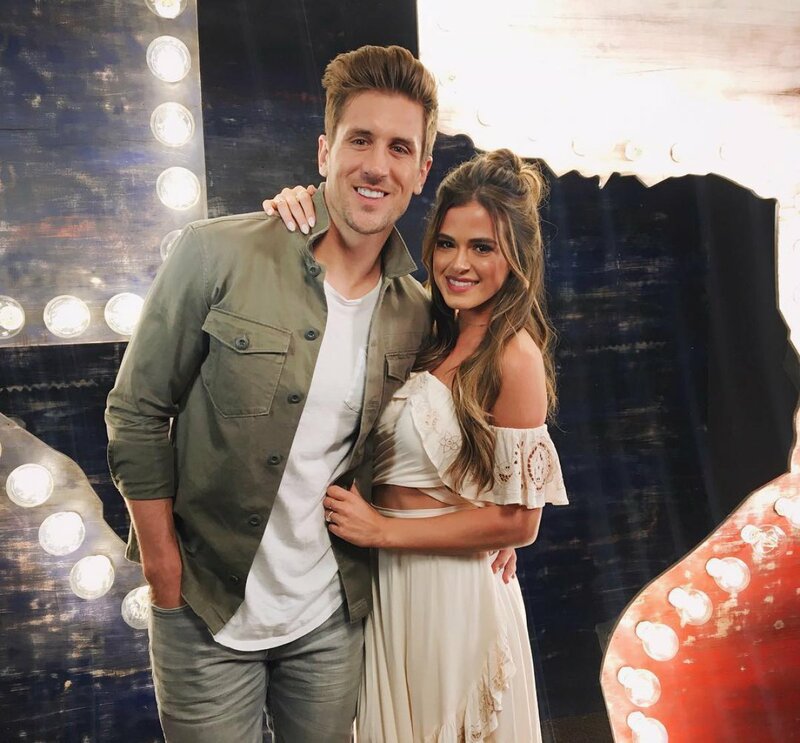 'The Bachelorette's JoJo Fletcher talks marriage with Jordan Rodgers -- I'm starting to get "the wedding bug"
The Bachelorette's JoJo Fletcher and Jordan Rodgers are apparently inching their way closer to the altar. The couple got engaged at the conclusion of The Bachelorette's twelfth season in Summer 2016, so Jordan and JoJo have been dating for about one year now. "This last year has been a really good year. I think we did the right thing in taking our time and enjoying our relationship," JoJo told Us Weekly when asked whether she's getting the ball rolling on wedding plans. "But I have started getting the wedding bug a bit, so it's definitely more on my mind now more so than before." JoJo, 26, then laughed about how she has been working on her wedding Pinterest board "for 10 years now." JoJo and Jordan, 28, are currently enjoying their life together in Dallas, TX, as the pair recently moved into a new neighborhood that's close to the bride-to-be's family. According to the former The Bachelorette star, she and Jordan love each other's company and go on several sushi dates each week. "He does little things day to day," she gushed of the sports broadcaster to Us. "He always treats me so well. He leaves sweet little notes... We do fun things. He's a gentleman." The couple also have an interest in fitness and health in common. "I will go to boxing [classes] with him, he'll go to pilates with me," JoJo revealed. "He's about trying everything, so he definitely encourages me to want to work out more." In July, Jordan talked to The Hollywood Reporter about whether he'd want his pending nuptials with JoJo to be televised since they met, fell in love, and got engaged on a reality TV show. "It's something everyone always asks us. That's something we would have to discuss together, but very honestly, my first reaction would be that I would probably rather not," Jordan explained. "There's a distinct intimacy and privacy and it's a very special moment with family and friends, and I wouldn't want anything to tarnish that or to take away from that. It's a time that I want to be able to honor my fiancee and soon-to-be wife and her family, and I want it to be ours." Jordan added, "I want us to run the show and make sure it's always what we imagined. If there's a way to do that and include fans, great. But that wouldn't be my first wish." Before starring as the Bachelorette, JoJo competed for Ben Higgins on The Bachelor's 20th season and was devastated when she had finished as the runner-up. Ben and his fiancee from the show, Lauren Bushnell, announced their split in May 2017.